The perfect gift for any mad scientist! From our series of bogus periodic table of elements that don't officially exist, but undoubtedly should, we present The Element of Surprise. Typically described as the unexpected or surprising nature of something, the element of surprise has been given the scientific symbol "Oh". 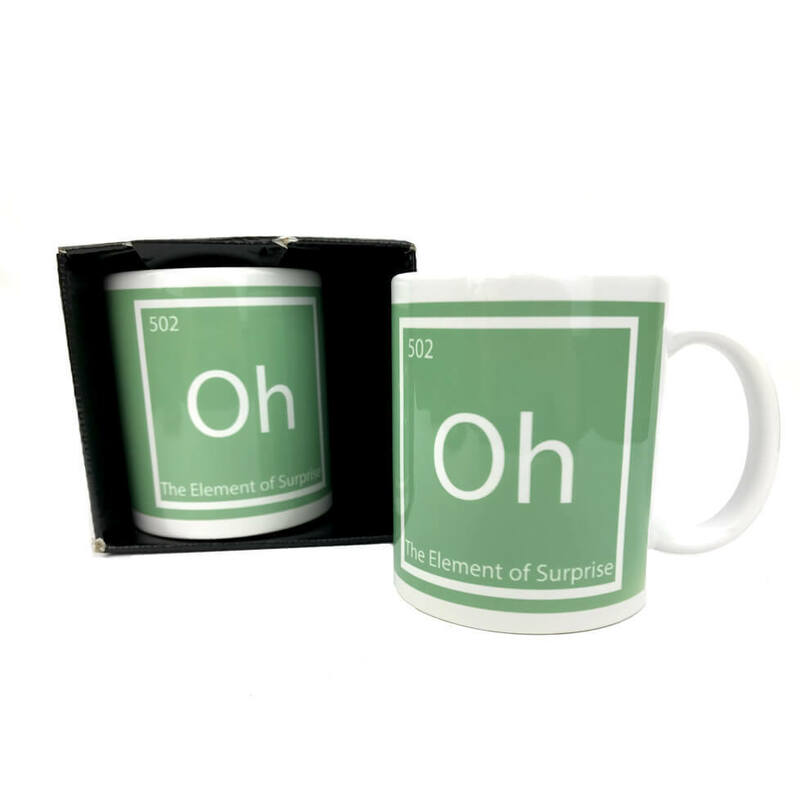 Often pronounced "Ohhhh..." when making a shocking or unexpected discovery, this Element of Surprise Mug is perfect for your science lair. It's perfect for April Fool's, a day when surprise is sprung on us, or simply as a gift to delight someone special!